I mentioned above that I doubled the recipe, which you can see in the photo which has EIGHT eggs. 🙂 With pancakes I would just make a single batch, unless you’re serving more than two people. 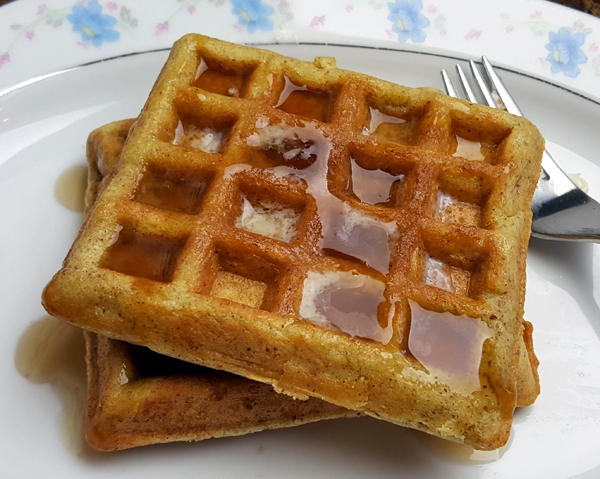 But the waffles are GREAT leftover, and can be popped in the toaster and enjoyed later – so it’s great for “meal prep” to enjoy several mornings in a row, or to take with you on the go. 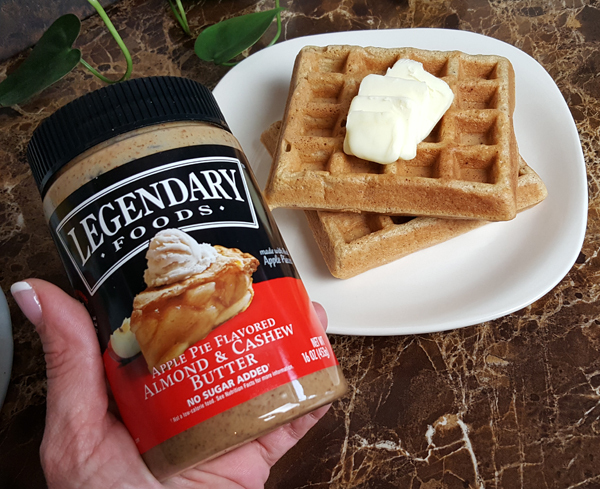 Just LOOK at their Apple Pie Almond Butter… 🙂 YUM! It’s good on celery, on crisp cucumber slices, on a spoon, licked off your finger 🙂 or used to make pancakes or waffles (or even muffins!) using the simple recipe above. 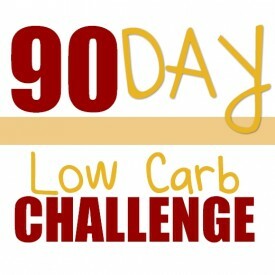 This entry was posted in Low Carb Foods and tagged recipes, reviews. Bookmark the permalink. 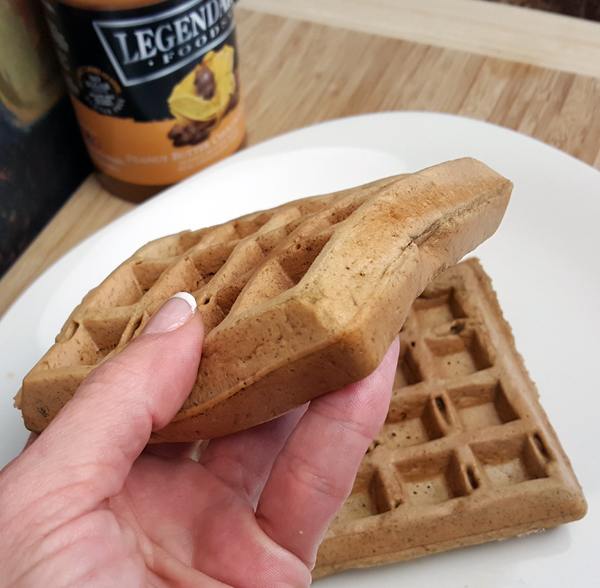 26 Responses to Easy Low Carb Waffle Recipe ~ Gluten Free, Thick & Fluffy, with a Surprise Ingredient! I just bought your 3 favorite flavors to try using your code. 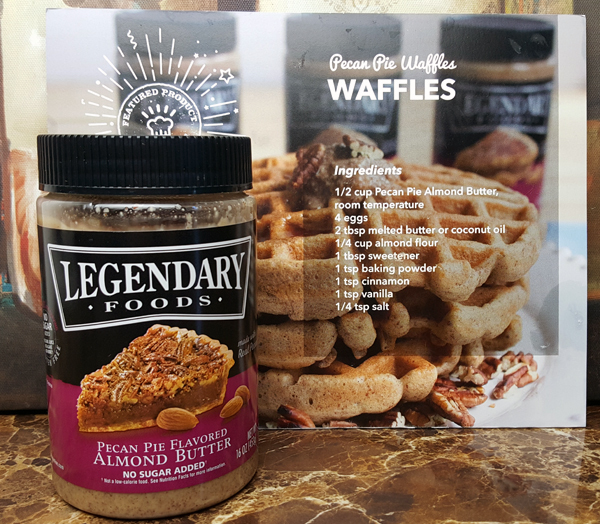 I can’t wait to make these waffles! Their almonds are great too – all flavors. I’m making candy (again) with the nut butters, so I’ll share more about that in my next post. So delicious… Enjoy!! These are the BEST nut butters I’ve ever had! My favorite is the Apple Pie. OMGOSH!! So delicious. 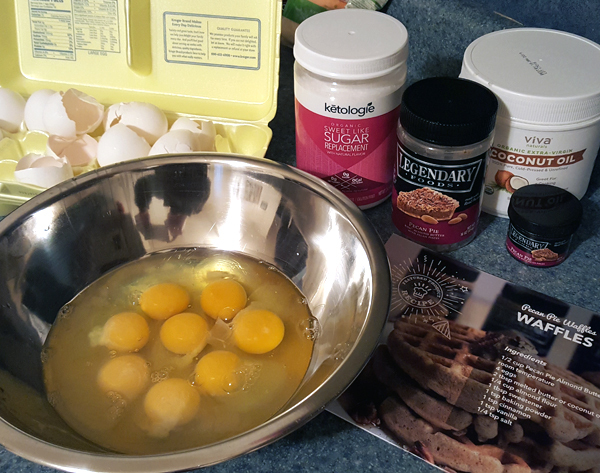 I will probably make the waffles this coming up weekend! I’m so glad you’re enjoying them, Becki! 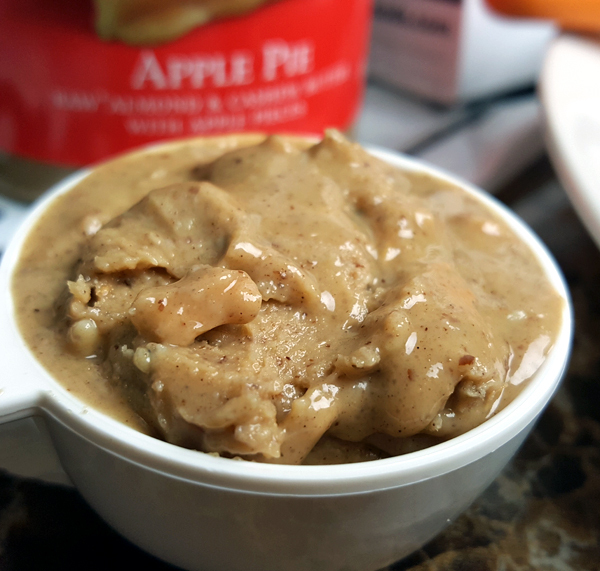 🙂 The Apple Pie Almond Butter is GREAT on cucumber slices or celery too, for a quick delicious snack. The pancakes were my favorite with the Apple Pie flavor. I would use Pecan Pie for your waffles – or blueberry. 😉 ENJOY!! Yolette asked me which low carb / sugar free syrup I use. I shared this discussion on Facebook at: https://www.facebook.com/lowcarbtraveler/photos/a.226693510692585.69791.226460087382594/2024712770890641/?type=3 but wanted to share it here too. They are all three GREAT. The Nature’s Hollow has sugar alcohol, but is 2 net carbs per 1/4 cup (4 TBSP) vs ChocZero which is 2 net carbs per ONE tbsp. 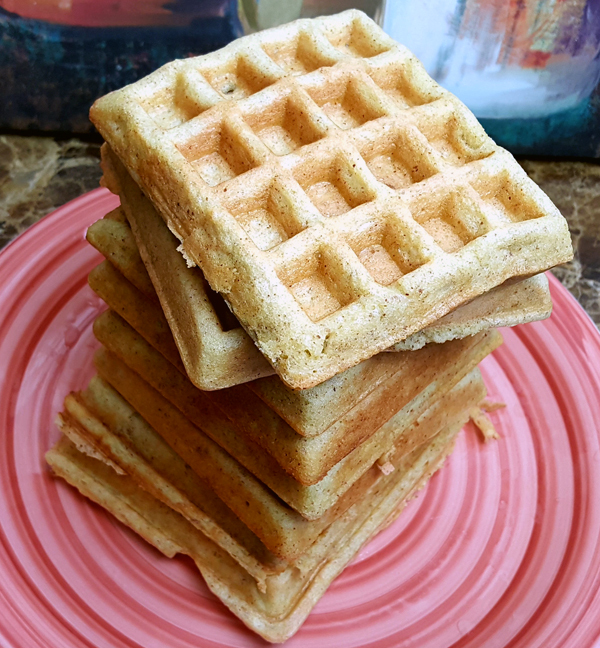 I’m trying to keep my testing as clean as possible, so I was testing my nut butters & waffle recipe again without the two newer syrups I’ve discovered in the last 3-6 months. Nature’s Hollow I’ve used for ~6 years. 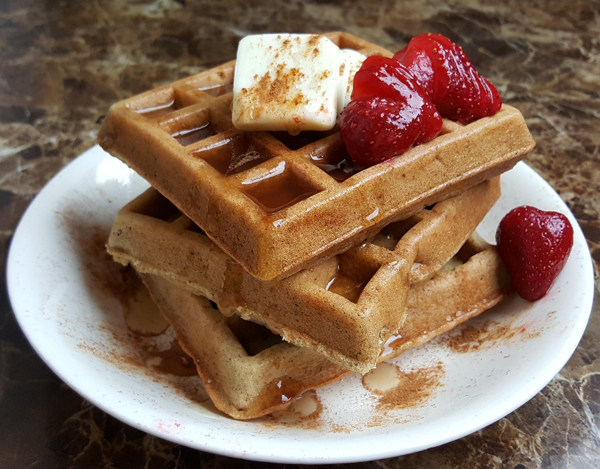 And on THAT note… I had these waffles twice yesterday, for both breakfast and lunch, and tested still in ketosis this morning. 🙂 SCORE! I’m working my way down through the list, lol. Super lame question but which waffle iron do you use? Ours is a cheaply brand that I hate because I feel like I can never get it clean. Hi April 🙂 Mine is an inexpensive two-plate waffle iron too, but it works just fine! The plates come out and can go in the dishwasher. But the rest of the waffle iron: I agree, it’s hard to get it clean. I just do the best I can with it, lol. 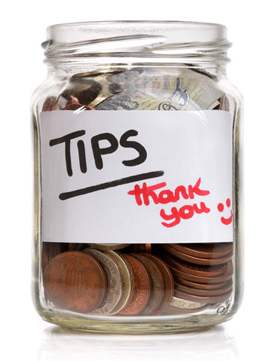 I really enjoy your blog……very, very helpful! If you were to recommend a Keto book for a beginner, what would you suggest? I am going to have lots of time on an airplane soon & would like to read up on Keto. Thanks. And the second one is actually by Atkins, or FOR Atkins by a best selling author: https://tap.fit/B1f1lor4WG?_sp=ae3ca913-5eee-43b5-9014-93e555cbabaa.1520797122202 It’s called Eat Right, Not Less – and is a great “lifestyle book” with tons of recipes in it too. Both are actually – lifestyle books with tons of tips & talks, and GREAT recipes. 🙂 Enjoy! What temperature and how long do you bake them as muffins? 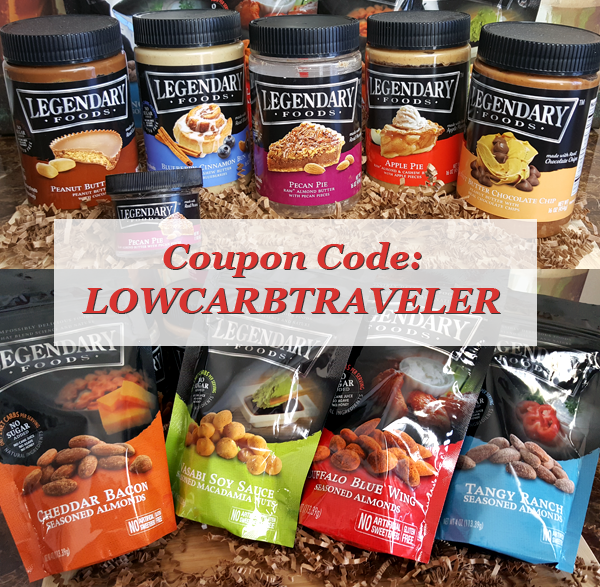 Do you have a discount code for Ketologie for me to order the Sugar sweetener? What brand of almond flour do you recommend? I’ve used several brands and they all work just as well for me. I used Bob’s Red Mill Almond Meal/Flour for years, but recently got two different brands of “just” Almond Flour – which is much finer, and I think works out better in recipes for texture. Help please! 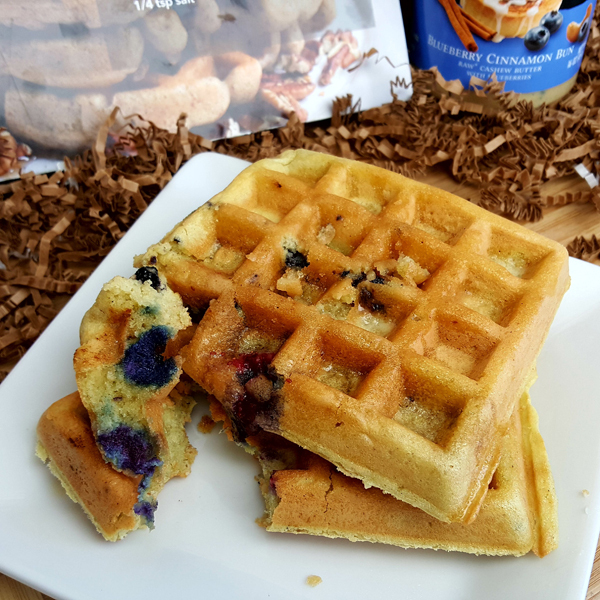 I’ve clicked on the high light for blueberry muffin recipe but the blueberry waffle recipe comes up! Anyway I can get the muffin recipe? I use this same recipe to make muffins, pancakes OR waffles. 🙂 For the muffins you pour the batter into a well-greased muffin tin (or lined with muffin papers) and bake at 350 degrees. Mine take about 15 minutes, but it will depend on your oven and the size of your muffins, so just watch them after 10 minutes and let them get golden brown. They are done when a toothpick comes out clean. I use just under 1/4 cup of batter per muffin, or just under 1/3 cup of batter for larger muffins. 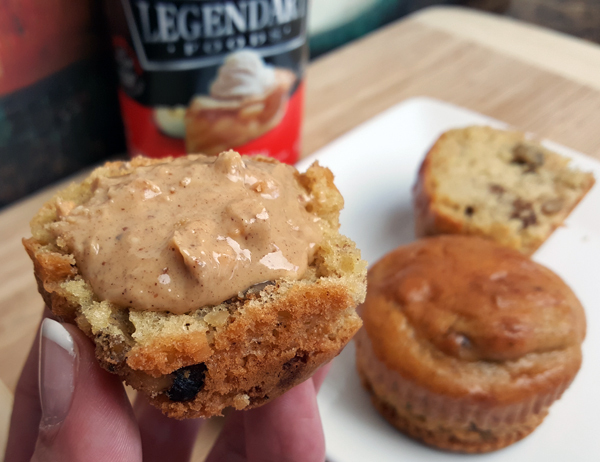 The last batch I made using the Blueberry Cinnamon Bun nut butter and 1/3 cup of batter per muffin made 9 muffins at just under 2.5 net carbs each. I use the MyFitnessPal Recipe Calculator to put in my ingredients and the number of servings/muffins – so I can log each muffin accurately. Thanks! 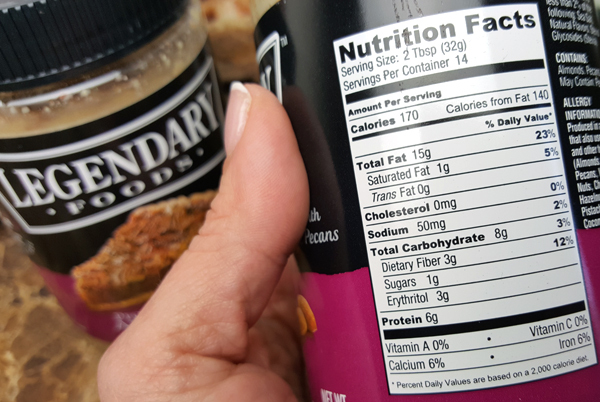 Is there anything I can use in place of the nut butter? I add blueberries and make blueberry waffles with that mix and those are great too, although if I remember right the mix is not gluten free if that’s important to you. It didn’t bother me because I don’t have a gluten intolerance. I’m so glad you both enjoyed it, Angie! I’ve been through so many batches of this recipe now… I’ve lost count. 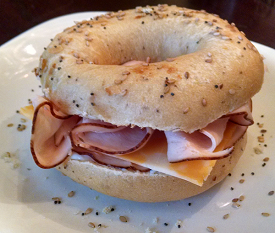 🙂 It’s delicious and easy – and SO nice to have something besides eggs or meat. 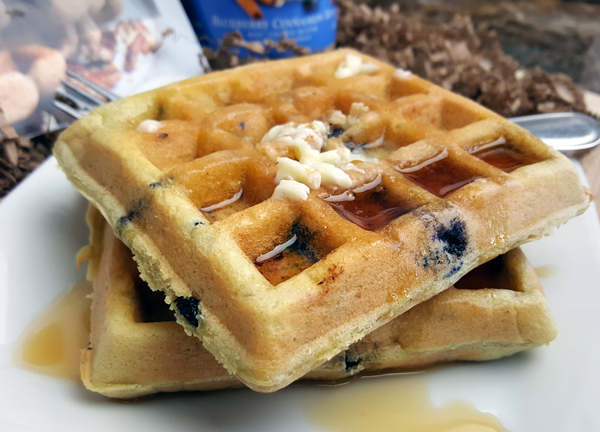 Enjoy those low carb blueberry waffles! !